If you’re an app or web designer working on a user interface project, then this list is for you! Here are some of the best and freshest UI components for both app and web projects. These freebies are all designed with vector shapes and use Google Fonts. They come as well-organized files, with sorted folders, so you can easily and quickly customize them and adapt them to your own work. 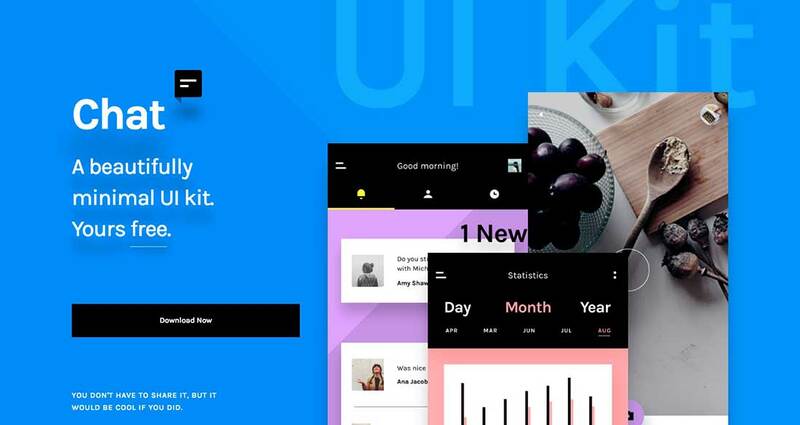 These UI components kits come with tons of useful UI elements from multiple categories, that will help you prototype and design awesome interfaces. You can use these UI components to design iOS applications, Android apps, web apps and more. These clean UI kits have awesome font pairings and balanced color palettes. Kauf is a free web UI components kit built with Photoshop. It contains over 200 interface elements that can be used for articles, e-commerce, headers, navigations, forms, widgets, and more! 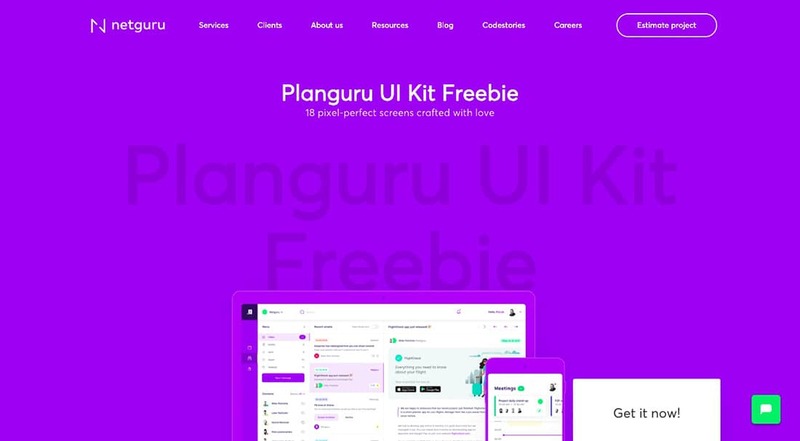 Planguru is another free UI components kit, this time designed in Sketch but available with a Photoshop version as well. 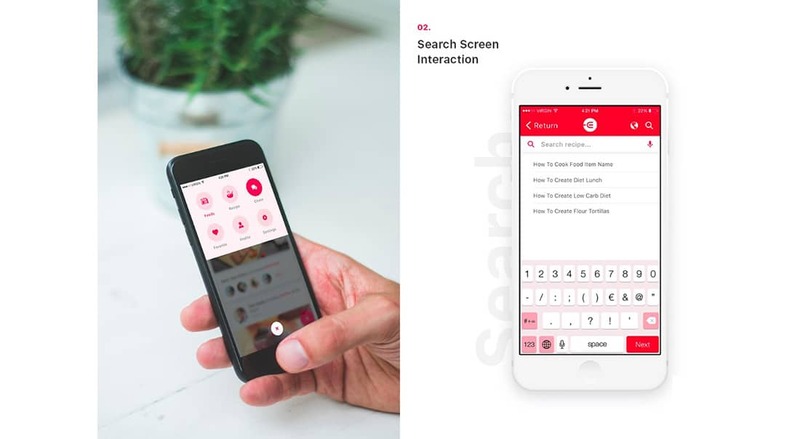 It contains 18 beautifully crafted screens with tons of useful components such as calendars, chats, notification systems, and more. 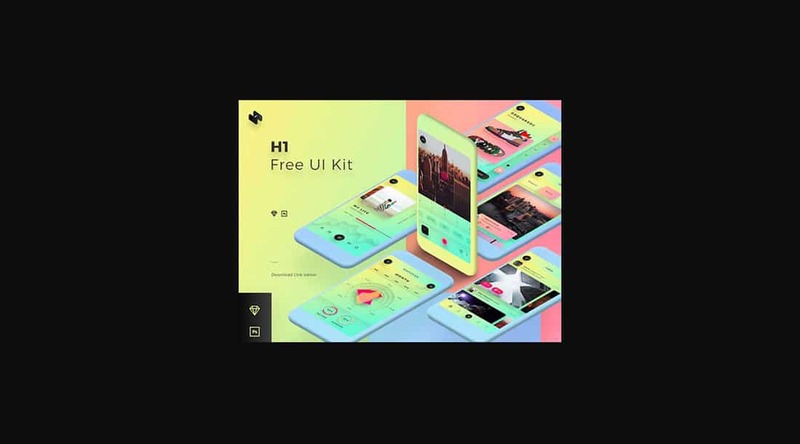 H1 is a colorful mobile UI components kit that can be downloaded in PSD and Sketch file formats. it includes over 100 screen templates with an astonishing 400+ user interface elements you can choose from. 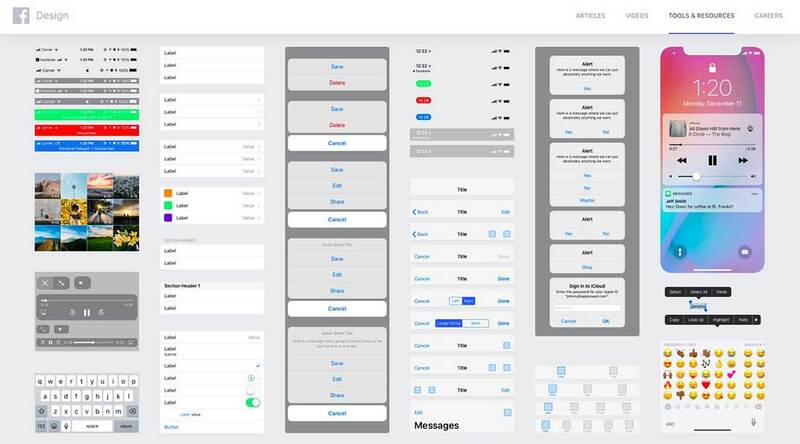 Here’s another massive iOS UI components kit that contains screens and common interface elements, such as shapes, controls, containers and icons. This is a free UI kit that can be downloaded in PSF format. Check out this iOS GUI freebie that you definitely need if you work on iOS apps. This can be downloaded in different file formats, for Origami, Sketch and Photoshop. Vera Block is a huge UI components freebie that contains 100+ UI components and 140+ mobile screens for Sketch and Photoshop. Use it to speed up your mobile design workflow. This kit is flexible, easy to use and balanced. Elements is a free UI components kit that includes useful elements like inputs, buttons, selects, dropdowns, notifications, tables, and more, as well as dashboards/admin pages designs. It can be downloaded in both PSD and Sketch formats. If you need a clean UI components kit, this basic widget-style UI kit is what you’ve been looking for. It contains 25 ready-made components you can use to upgrade your website design. Available in PSD format. 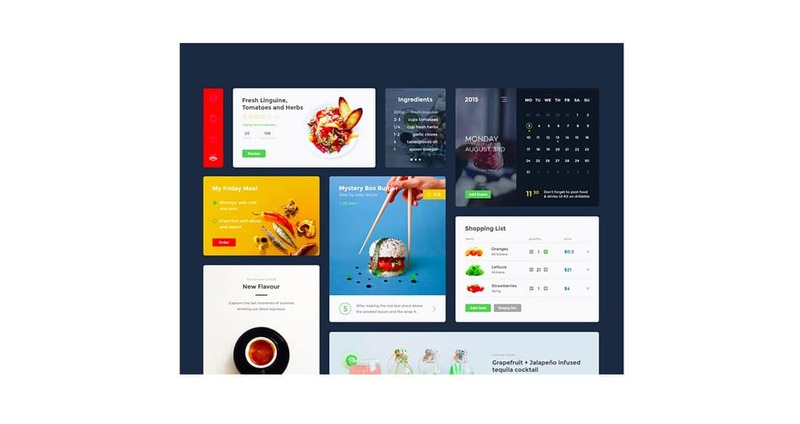 Edacious is a PSD UI kit with tons of cool features for creating food-related websites and apps. It contains 18 screens for iOS and a landing page template. 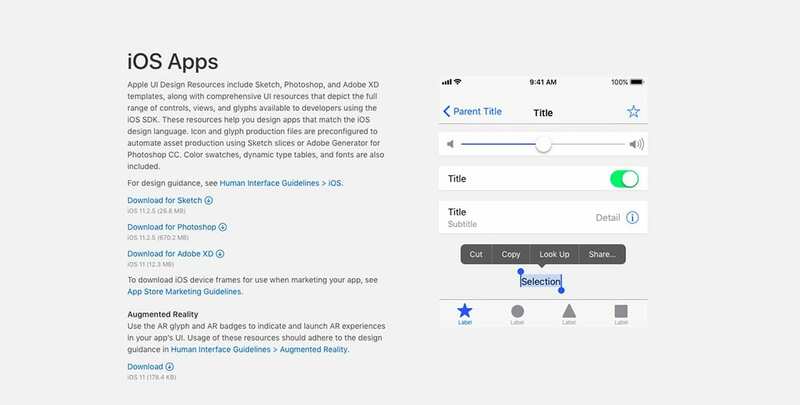 The iOS Human Interface Guidelines have been updated by Apple, so you definitely need to download this UI design resources kit! It includes UI elements, templates, color palettes, icons and other useful assets. 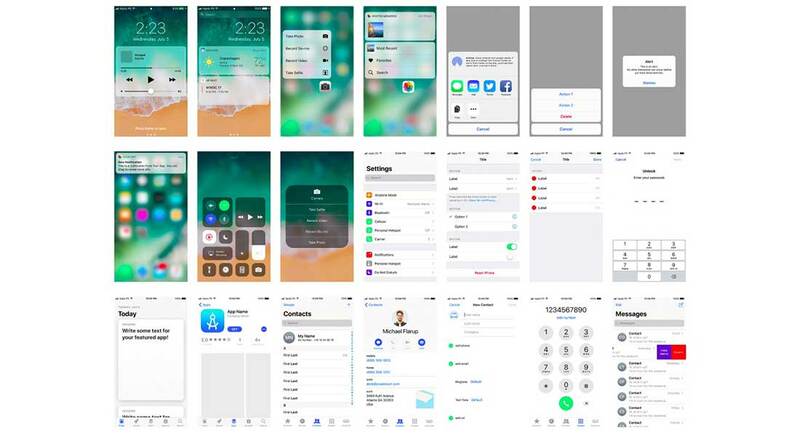 Here is the Facebook iOS Light UI kit you can use to design amazing, clean and simple app designs. 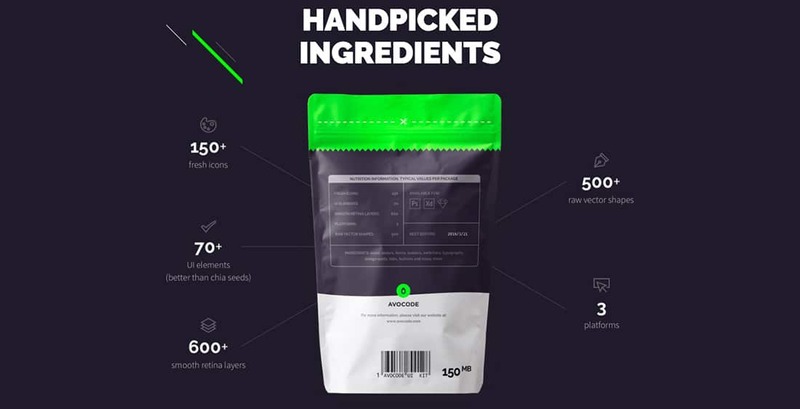 Guacamole is a free UI kit available for Photoshop, Adobe Xd or Sketch. It includes 150+ icons, 70+ elements, 600+ retina-ready layers and 500+ vector shapes. 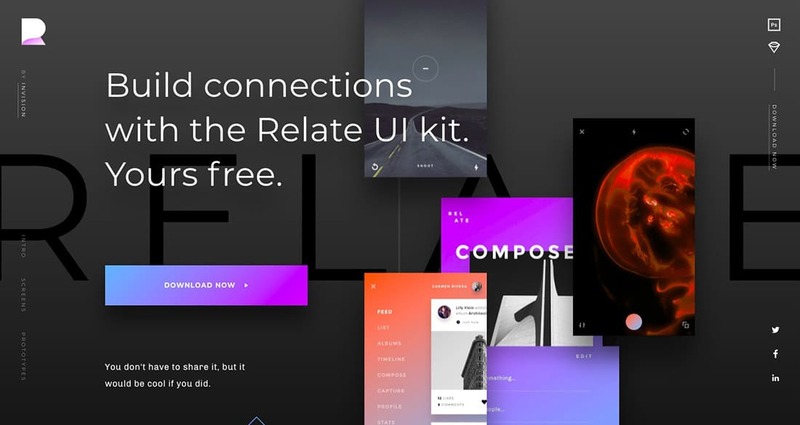 Relate UI kit comes with both Sketch and PSD files and includes a ton of amazing UI elements, such as templates for 15 different categories and over 100 elements that are fully scalable and pixel perfect! 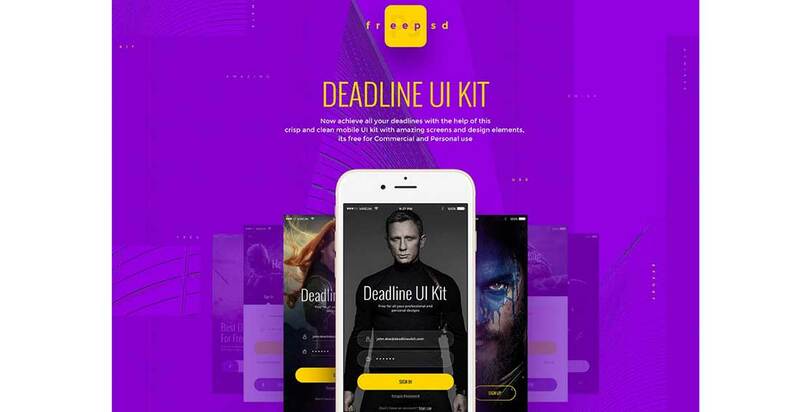 Deadline is a free UI components kit for Photoshop and is made of 100+ elements, 80+ amazing pre-made screens, e-commerce elements, and more. 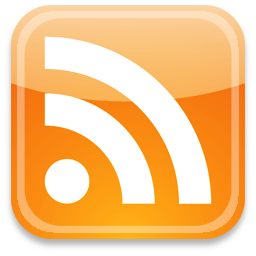 Take advantage of this awesome freebie and download it right away. Here is another free UI components kit made of 50+ elements you can use to design clean and modern websites. The free PSD can be downloaded with just a couple of clicks. 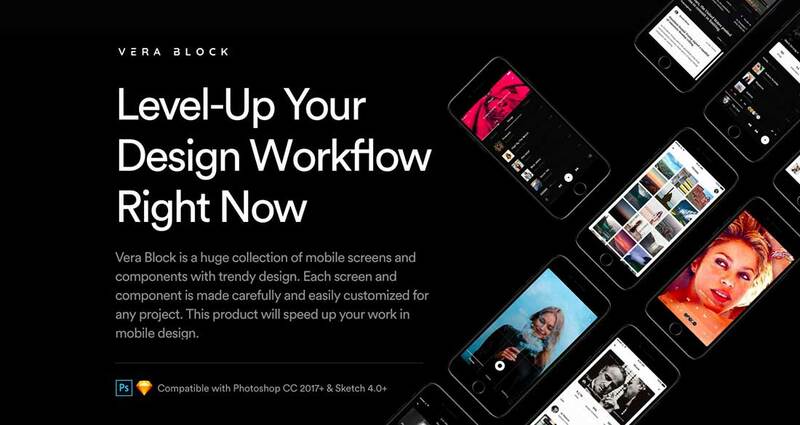 This professional mobile kit is made of 20+ iOS screens designed to ease your workflow. These elaborate screens are part of 7 different categories and come as Photoshop and Sketch files. Portland is a UI kit based on Bootstrap grids. It can be used to design website templates as it includes some popular components such as headers, hero sliders, menus, pagination elements, etc. 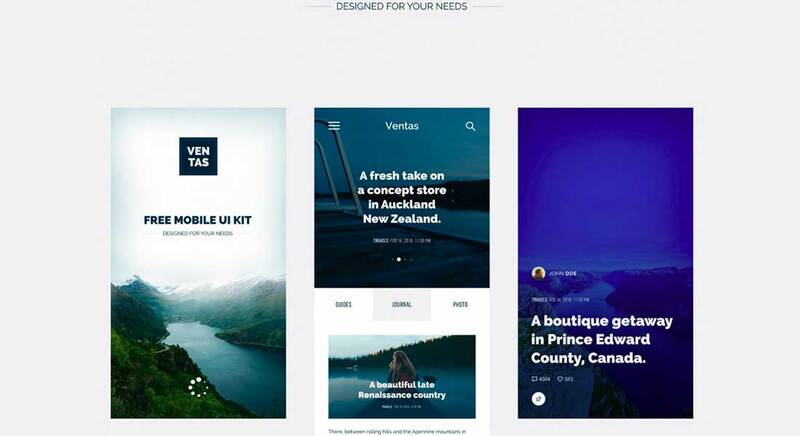 Ventas is a free UI kit you can use to design awesome mobile apps for travel magazines. This mini kit includes 6 fully customizable screens and comes as a fully layered PSD file. Monica is another amazing free PSD UI components kit with a ton of useful elements for building fully functional e-commerce websites. Download the free PSD! 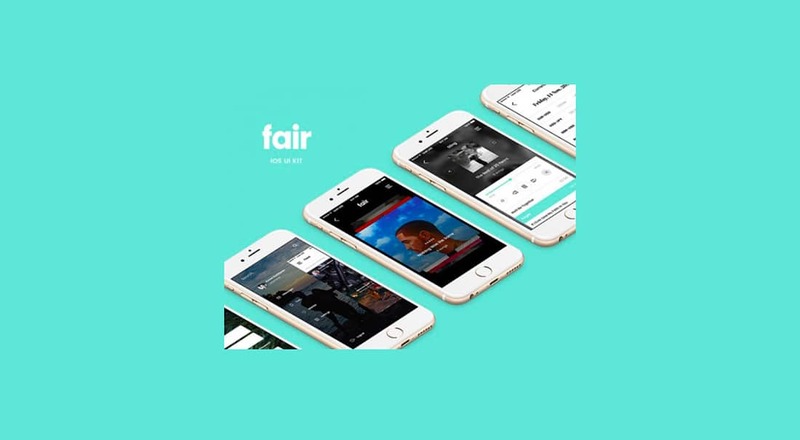 Fair is a mobile UI kit with over 100 screens! The free version contains just 8 screens with a modern and sleek design. Download the free PSD file. Chat is a free minimal user interface components kit for designing awesome apps. It contains 60 templates in 12 categories and 80 UI elements. Comes as both Photoshop and Sketch files. 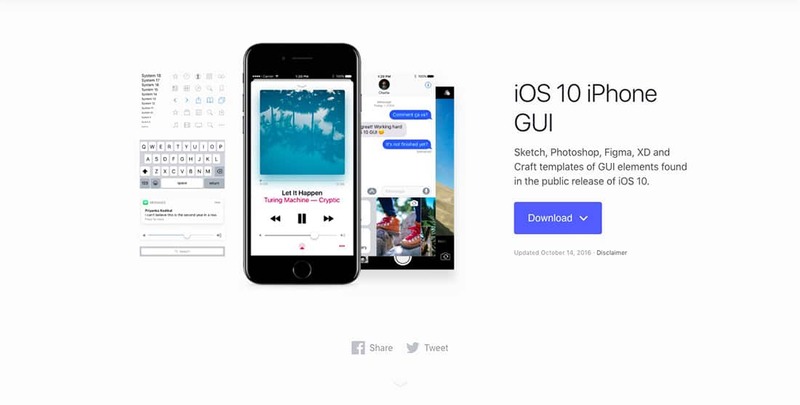 Here’s a clean iOS kit with 10 app screens that come as fully editable and layered PSD files. 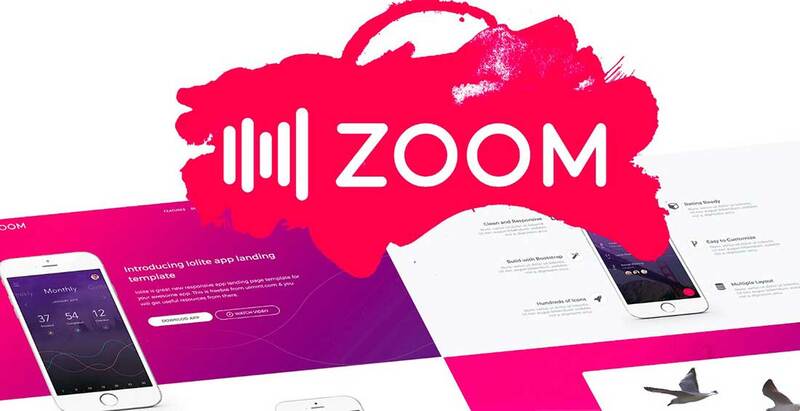 Zoom is a UI kit specifically designed for landing pages that showcase mobile apps. 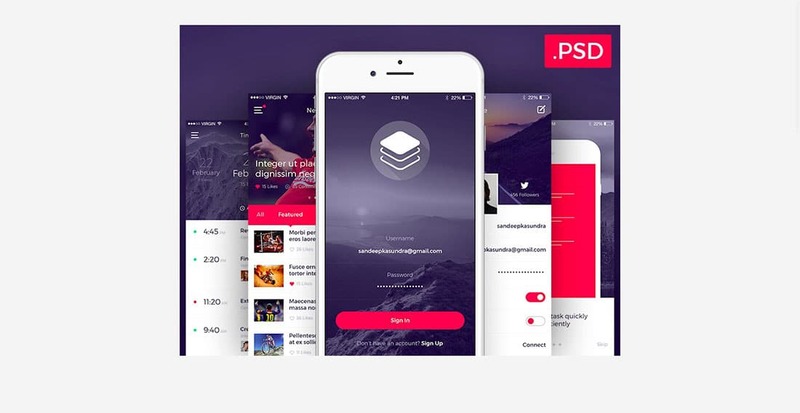 Use this free PSD file to create superb landing pages for your app design! 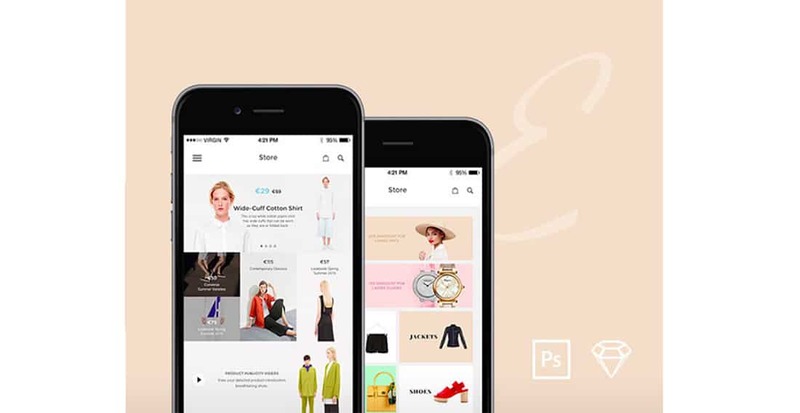 Elegance is an e-commerce app design UI components kit that’s made of 12 high-quality screens for iOS. You can download the free PSD and Sketch files in the link above. Food & Drink is a clean UI kit with tons of widgetized elements perfect for the food and drink industry. Use it to create cool food-related apps and websites.